SpaceX might have captured the news cycle this weekend by successfully landing its rocket on a barge, but they also successfully completed their primary mission: berthing the Dragon Capsule to the ISS, which they did at 9:57am this morning over Algeria. 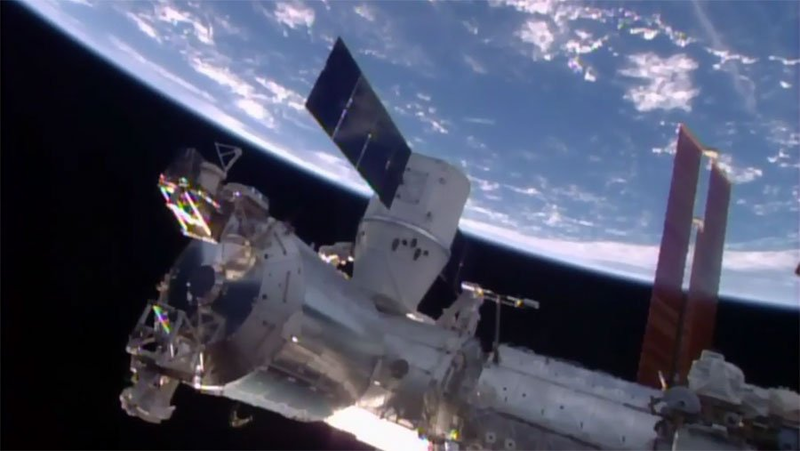 The Dragon capsule is loaded down with new supplies for the crew aboard the station, as well as the Bigelow Expandable Activity Module (BEAM), a new vegetable garden, (which will allow them to grow cabbage), as well as a bunch of medical experiments. While SpaceX's successes on Friday are certainly excellent steps forward, the resupply missions are equally as important, given that last time, the CRS-7 mission exploded. Reliably getting the gear and supplies to the station is a milestone in and of itself.